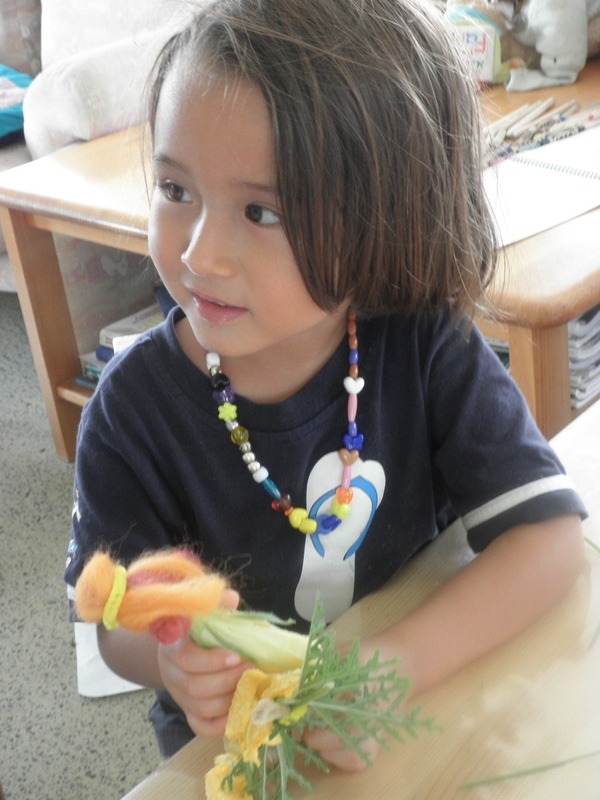 We have a little homeschool group which runs 3 days a week. Once a week, it is held at our house. 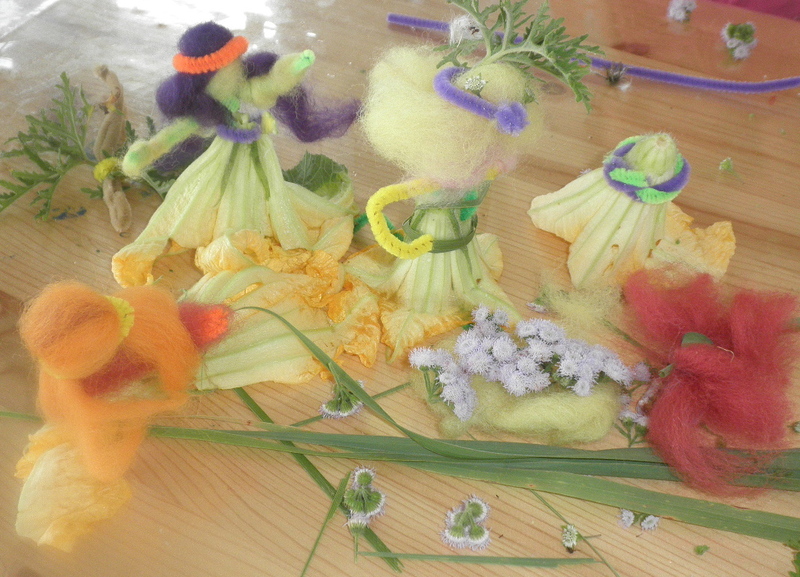 This week, we went on a nature walk and collected flowers and leaves and the children decided to make flower fairies. 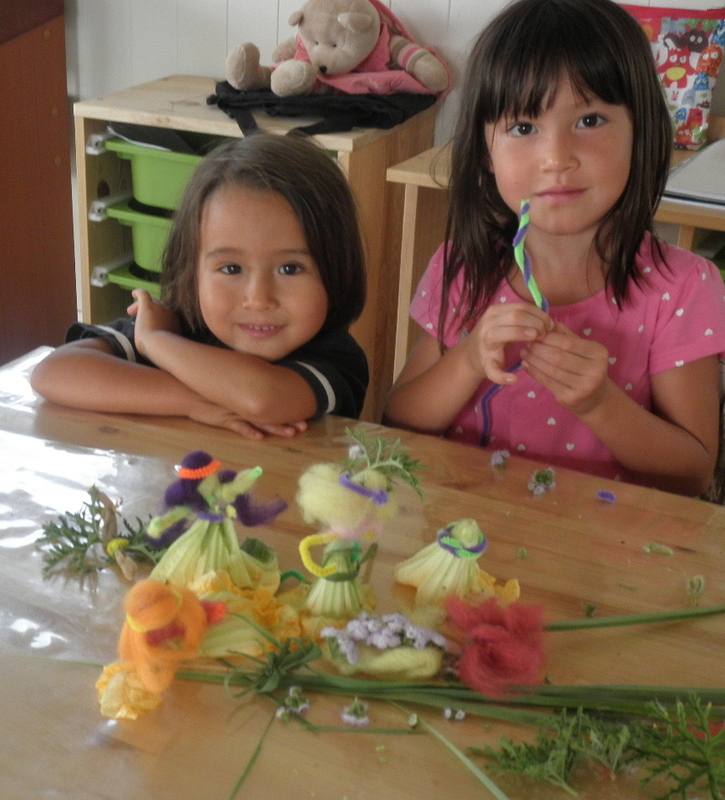 Here are Taiji and his buddy Coral with their flower fairies. Later, Taiji was having a four year old melt-down when a gruff voice called him from the kitchen “Taiji!!”. “Uh oh, I thought. Taiji’s going to get a gruff Papa scolding” (I was giving him a soft mama comforting cuddle while he was sobbing because he couldn’t have his way about something). 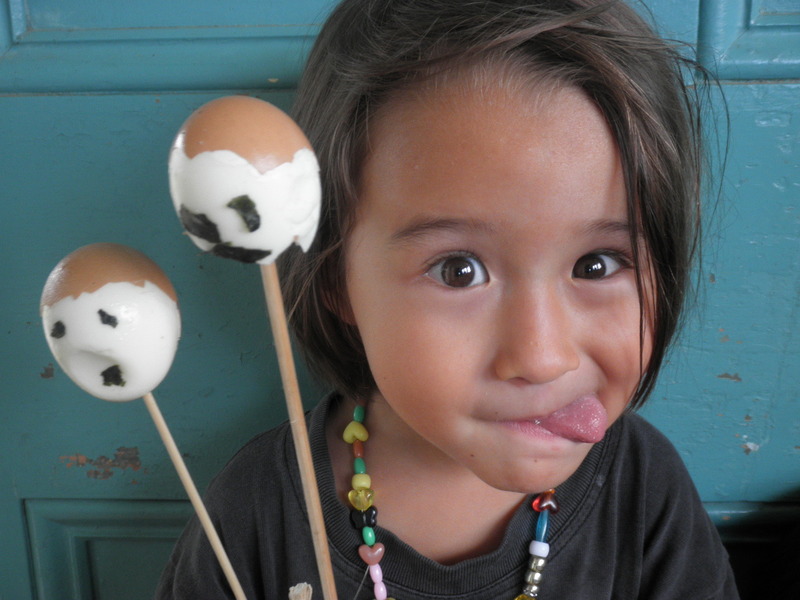 We both looked up to see a talking egg on a stick and we dissolved into laughter. Such a lovely way to dissolve a young boy’s tantrum. 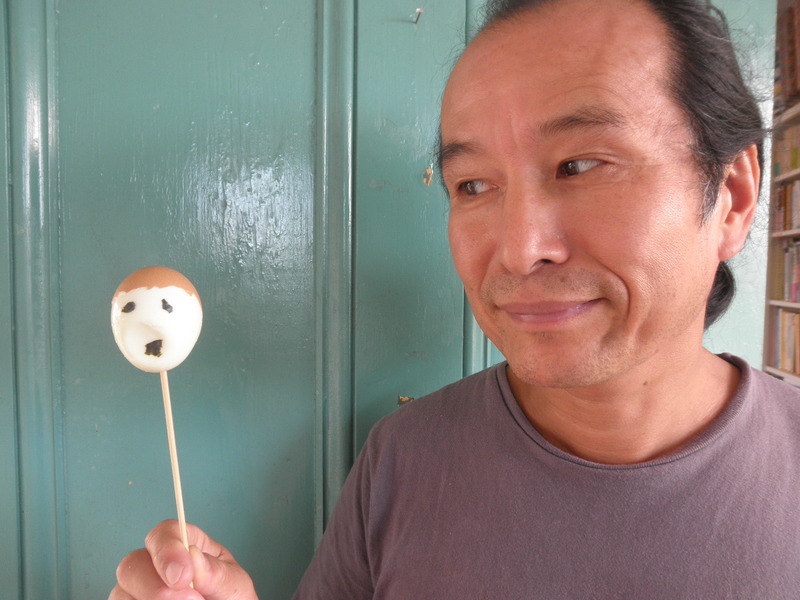 Taiji was then inspired to make his own egg-man. The creativity in food and plants is boundless.